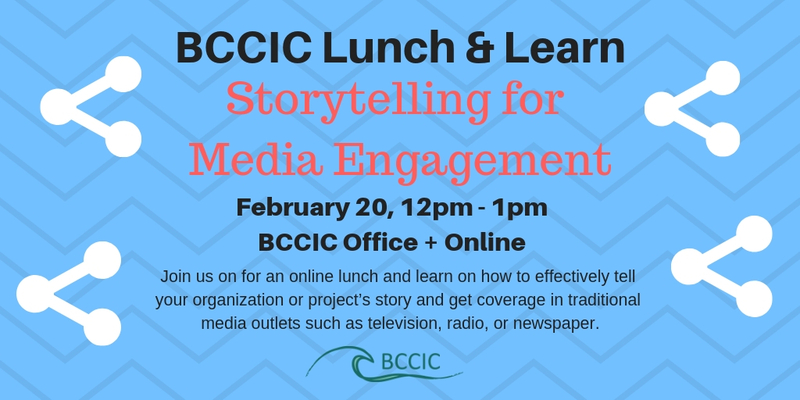 Join us on February 20th for an online lunch and learn on how to effectively tell your organization or project’s story and get coverage in traditional media outlets such as television, radio, or newspaper. Changes in traditional media and their impact on non-profit engagement – newspaper, TV, radio. Tips for telling a compelling story for traditional media. Tips for getting the ear of the media. Please register for the lunch and learn through the link below and we look forward to seeing you online. When: February 20th from 12 pm to 1 pm.